Can NRIs trade in derivatives? As the value of the instrument is derived from the movement of the underlying asset, it is termed as a “derivative.” In the Indian market, derivative trading takes place through futures and options. In the Indian market, derivative trading takes place through futures and options. In futures, there exists a contract that binds the seller or the buyer to sell or purchase the underlying asset at a fixed price on a later date. The contract includes the details of the amount and quantity of the underlying asset, such as a commodity or shares, that is to be traded as per the agreement. Some of the deals require physical delivery, while others require cash. In options, the contract is quite similar to that of futures, but in the former, the two parties are not obligated to fulfill the terms of the contract. Both residents and non-resident Indians (NRIs) can trade in the derivatives market. NRIs can trade in the derivatives market through a custodian participating code (CP code) by opening an NRO savings account. As per RBI regulations, an NRI may invest in exchange traded derivative contracts approved by SEBI from time to time out of INR funds held in India on a non-repatriable basis subject to the limits prescribed by SEBI. Such investments will, however, not be eligible for repatriation benefits. Demat account: A demat account or a dematerialization account is an account that holds one’s securities in an electronic format. Any purchase and sale of securities carried out in the trading account reflect in the demat account. Trading account: A trading account is a place through which the trading of securities takes place. 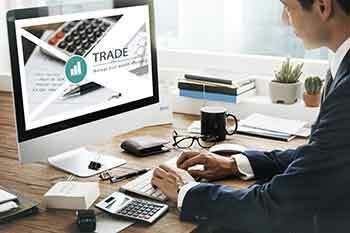 The trading account has a unique account number meant only for that particular investor. The trading account must be linked to the demat account for debiting and crediting securities. Margin Maintenance: This requirement exists only in the case of derivative trading. Every trader is required to maintain a certain margin upfront when trading in derivatives. Margin refers to a mandatory deposit, which is a percentage of the amount of one’s outstanding position in the stock market. Trading in derivatives has several advantages such as leverage, hedging, lower risk and a greater potential for high returns. The advancement of technologies and the stock market has enabled NRIs across the globe to trade in the Indian market and build their wealth. A disclosure requirement for any person/persons acting in concert who together own 15% or more of the open interest of all derivative contracts on a particular underlying index. 1% of the free float market capitalization (in terms of number of shares). 5% of the open interest in the derivative contracts on a particular underlying stock (in terms of number of contracts). These position limits would be applicable on the combined position in all derivative contracts on an underlying stock at the exchange.